A perfect mix and match Italian dinner. On a weeknight out dinner at Venetian Moon in Reading l made my dinner a composite of scallop appetizer for my dinner entree accompanied by a side salad and angel hair pasta side. Perfect portions with just enough left over for the next day’s lunch! Pulling from different section of the menu made it both fun and easy to stay on the healthy side choice! Healthy Eating: no need for trendy foods. For healthier eating your basic whole grains, lean meats, fruits and vegetable and dairies and some healthy oils never out of style! A desire to live a healthier lifestyle and lose weight is one of the top new year’s resolutions along with many food trends. The list of trendy foods this year includes convenience superfoods, protein-powered snacks, gut-friendly food, plant-based packaged foods and much more. 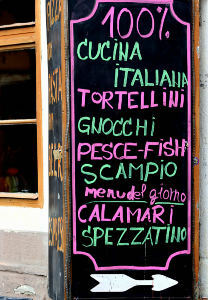 For a selected few this list may be useful, but in general there is no need for trendy foods. The easiest way to improve your health is to eat a diet consisting of whole grains, lean protein, and fruits and vegetables - your basic supermarket staples, easily available and affordable. At Delicious Simplicity Lifestyle we emphasize a healthy diet that is evidence based on nutrition and food needs. We promote ways to get the most value for your food dollar. Our message is to help choose healthy foods that fit into ones lifestyle. Our plan focuses on setting a healthy eating pattern that is sustainable, friendly and with long term benefits. We support these principles with twice realtime, weekly emails as well as accepting email queries from members. Plus we can work with the corporate client to customize the program to meet their needs. This could be the one plan you will use for good! 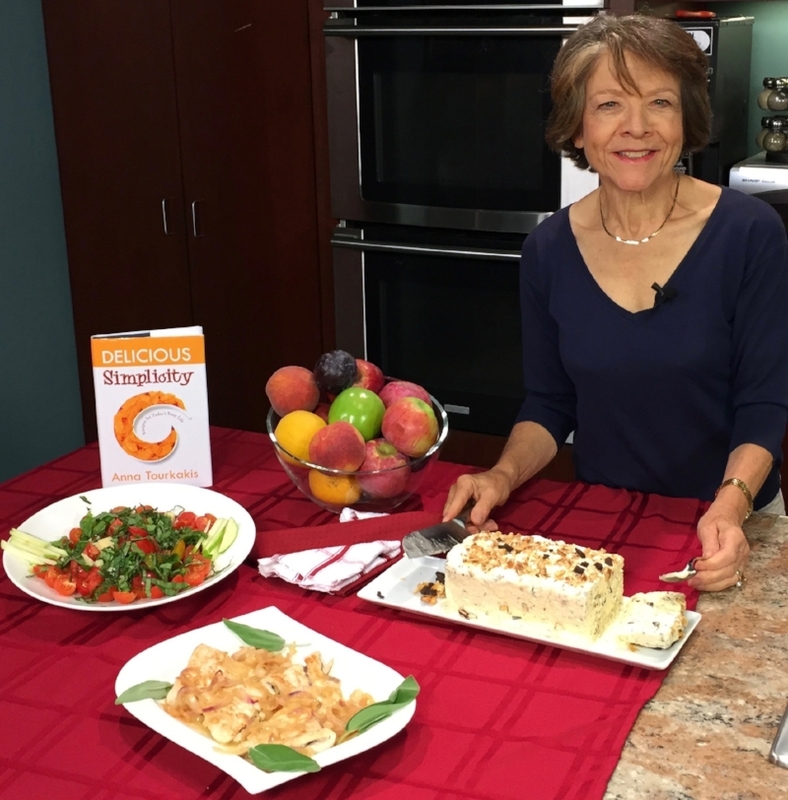 Fall into Healthy Eating Live! And get back on track! Get healthy fats and proteins along with powerful nutrient packed fruits and vegetables back on your plate and experience the joy of feeling and looking YOUR BEST! Healthy Eating Live! It's not just a cooking program it's an experience! Register NOW! Healthy Eating Live! This is an interactive program - get your cooking and nutrition questions answered! Come be inspired to live your most terrific day everyday! So You Think You Eat Healthy! These cranberry nut muffins must be healthy! Right? Research shows that overall dietary patterns have a big impact on health. But people don’t buy dietary patterns, they buy foods. Often times one may think that consuming foods such as whole grain breads, cooking with olive oil, having salads for lunch or a protein shake for breakfast makes their diet healthy. Neglecting to account other foods with added fats, sugar and salt in the diet may show a less healthy picture. The proportion or the frequency of the types of foods is an important aspect of a healthy eating plan. According to NutritionFacts.org, "the dividing line between health-promoting and disease-promoting foods may be less plant- versus animal-sourced foods and more whole plant foods versus most everything else." While its true that we buy foods and not dietary patterns; we do tend to eat in a pattern. Teaching ourselves to focus on a dietary pattern rich in wholesome plant foods and limit 'the most everything else' would be a dramatic benefit to our well being and wellness. For example, would the cranberry nut muffins above be healthier if they were made with a partially hydrogenated fat - containing trans fats or if made with butter? In my Healthy Eating Live! Program - a three session three week program I aim to teach and demonstrate a healthy diet as the basis for a healthy eating pattern. Click here for more. We usually eat foods in combination and not just one item at a time. This adds one more piece to the eating puzzle! Come hear more at Healthy Eating Live! Program. Don't get left out! It's a small group setting, early registration discount is about to end! September 27th, October 4th and 11th are the dates. Enjoy breakfast, lunch and dinner menus specially planned for weight loss and staying energized all day long. RSVP Now! 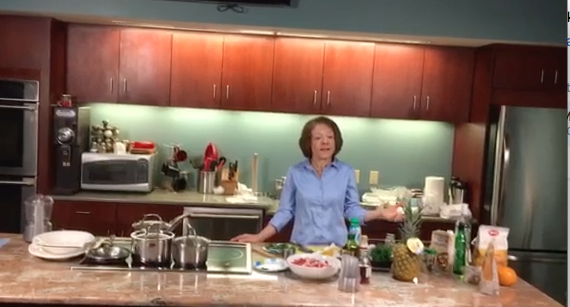 Join other like-minded participants as Anna demonstrates cooking methods and ingredients for an eating lifestyle that will keep you healthy and in shape. Get set to learn new cooking techniques, plus nutrition insights and savor the delicious menus of three sessions! Learn about foods to eat to get your "essential nutrients" and keep sugar cravings at bay. Anna shares her philosophy to "keep it simple, use wholesome ingredients, balance the flavors, and make it delicious.” Be inspired and guided towards your best weight and health! Cooking demos, tastings, and nutrition facts all to help you be your best! A simple zucchini frittata makes a quick summer lunch or dinner and can also be used to make a terrific sandwich! 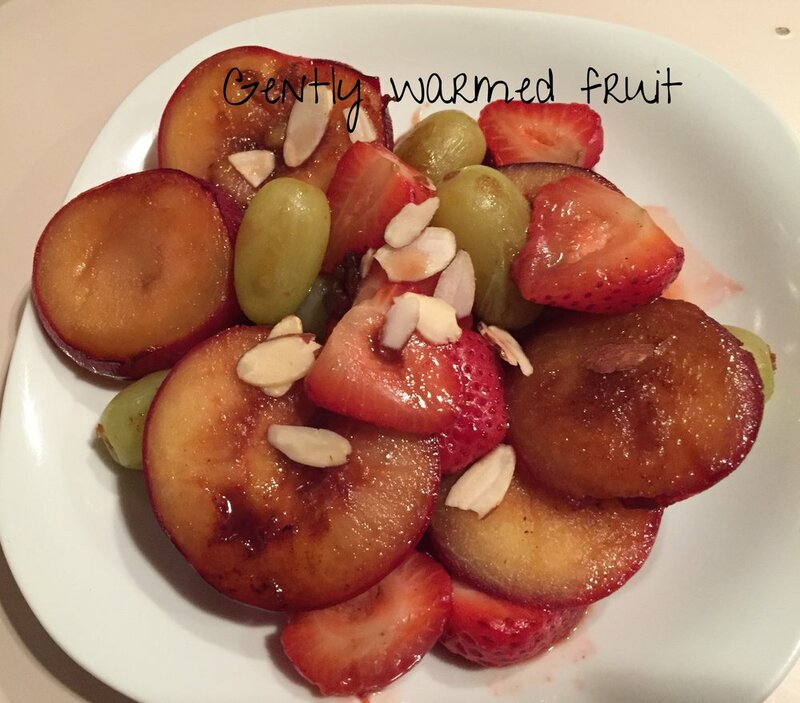 For a sweet end to your meal - toss a few fruits (plum, green grapes and strawberries are my favorite) in a skillet to enhance their natural sugar. Top with almond slices and dessert is ready and super easy!. Want More Real Life Meal Ideas? Join Healthy Eating Live! Program in September for more healthy and delicious meal ideas. Be part of a like-minded group that enjoys the benefits of eating healthy! Small interactive group format. Healthy Eating Live! New group forming in September! Sign up Now! What People Are Saying About Healthy Eating Live! Good morning Anna! ...last night, to be a part of the presentation was just so awesome. I was telling my colleagues here this morning you are a natural in demonstrating the cooking methods. Everyone was so engaged, and I absolutely loved it, you are just such a natural, there is no other way to put it! Have a good day, - B.
I had a great time last night! It was so nice seeing you and enjoying you demonstrate and cook a delicious meal. My friends and I thoroughly enjoyed the evening. When it comes to eating healthy most people know what that means. The real challenge isn't in the knowing it or doing it - the real challenge is in making the change. There is nothing more perfect than nature. These fruits combined with a few spices make a delicious dessert anytime! Infused Mixed Fruit with Crumbled Amaretti is on the menu. A surprising and delicious way to eat your fruit! Attendees will receive a discount toward an upcoming three-week program. Space is limited. Be sure to register and save your spot!